Condeck Inc - Bay-Lynx Manufacturing Inc.
Owners of Condeck Inc in Albuquerque, NM, Scott Lucas, Clay Wormington and his son Cade are always looking for ways to improve their business. Their business is Grout and flowable fill production using foamed concrete. The foamed concrete provides condensed flowable fill and grout for various projects. These projects range from utility lines to swimming pools at the local YMCA. The need for grout on these projects can range from a couple of yards of grout to literally thousands of yards. Given this scope, the best way to produce grout and get material to the sight can be daunting and expensive. This is where Scott, Clay and Cade’s concept and Bay-Lynx’s innovation and manufacturing turned into reality. Bay-Lynx developed a single machine that could meet Condeck’s massive production needs. This machine also provided transport and automation of other equipment needed on the job site. 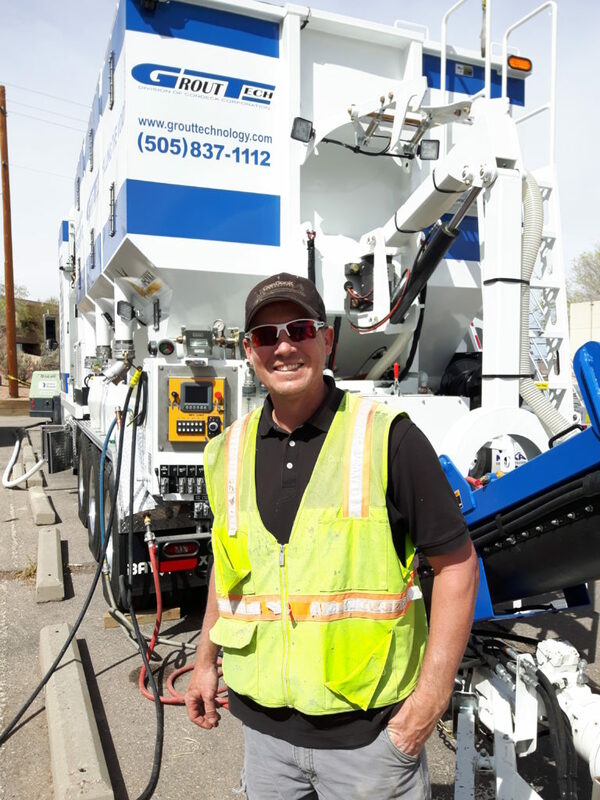 Bay-Lynx went to work immediately on a grout plant that can produce foamed concrete at a rate of 180 cubic yards per hour. The unit is complete with a dust free operation for pneumatic fill and production. 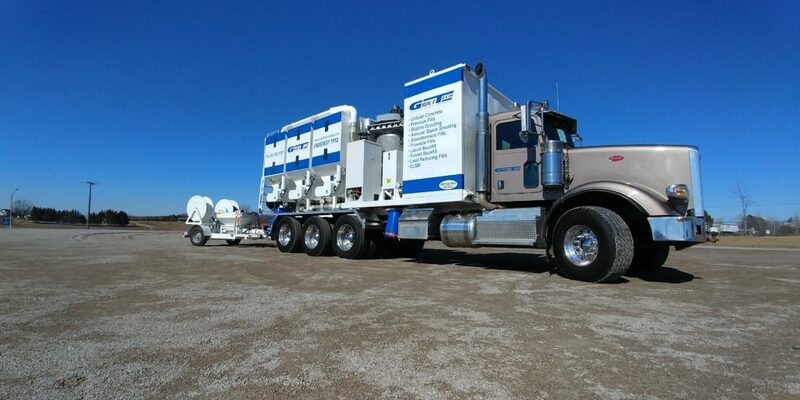 In addition, the unit is equipped with a small hydraulically powered grout pump which tows behind the truck. It is completed with bin level indicators to provide a complete automated production process. As a result, Condeck has been able to triple their job site productivity and reduce on-site labor to a two-person operation. "We did do our homework and evaluated many Volumetric mixer manufactures which resulted in one clear choice, Bay-Lynx Manufacturing."